Love eating? Ever heard of a food marathon? 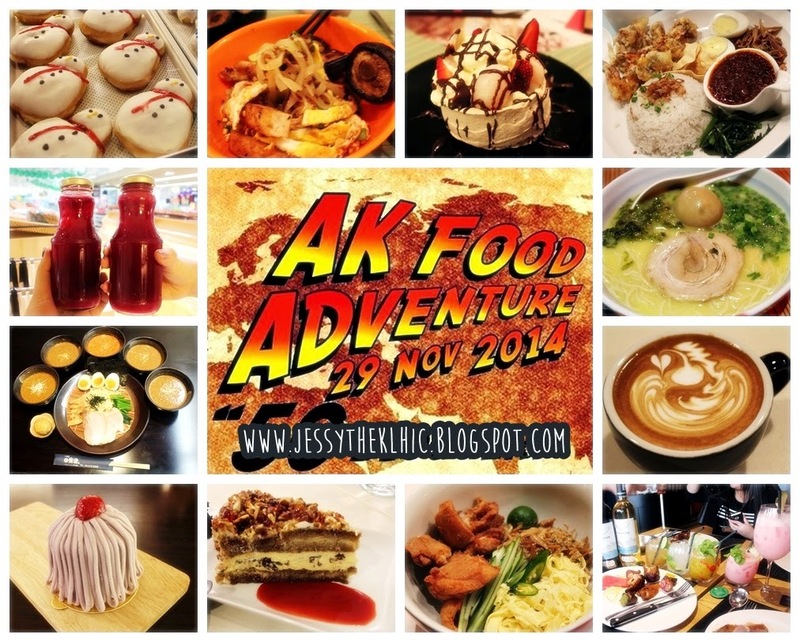 Well two weeks ago, Avenue K (AK), Kuala Lumpur newly open shopping mall, organised a Food Adventure for us bloggers. Besides being a shopping hub for many local and foreigners, it is also a mall full with amazing dining options with over 60 available eateries. We were lucky to experience dining 20 different mouth watering eateries in Avenue K. AK Food Adventure was a 12 hour eating marathon from 10 am - 10 pm, the task was to try a minimum of 10 eateries among the 20 selected eateries in Avenue K. Can you guess how many restaurants I manage to visit? The 20 restaurants that participated in this Food Adventure were Tokyo Pastry, Warisan Kafe, Samba, Noodle Shack, Simply d, WonderKafe & Bar, Wondermama X, Delifrance, Sushi Box, Ah Cheng Laksa, Upbeat, Krispy Kreme, Ayers Rock Butcher & Grill, Maison Dlights Chocolatier, Espressolab, Presto Bakery & Cafe, Marutama Ramen, Fat Boy’s Burger Bar, Tsukemen Izakaya & Johnny Rockets. Amazing list of restaurants right? In the end I could only visit 14 restaurants out of the 20 in 12 hours. It was truly an amazing experience and one I won't forget! Curious to know which restaurant I went to? 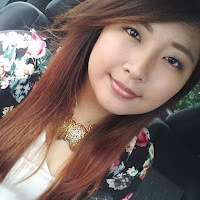 Being a kiasu girl, I actually planned out my eating journey before the event started by locating all of the restaurant location on a piece of paper. I was practically the "leader/guide" for my eating team. haha. The food adventure won't be a wonderful experience if it wasn't for Jane <3 I had some camera problems before the event started and Jane was an angel to share her camera with me. 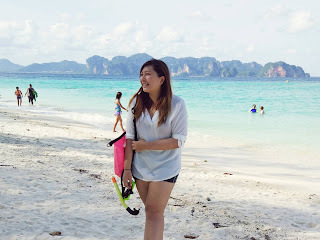 So we worked as a dual for this crazy food adventure <3 Do check out her amazing fashion travel blog, HERE. I was practically bursting after the first restaurant. Guess it was a bad idea to start out with Nasi Lemak for the first stop. 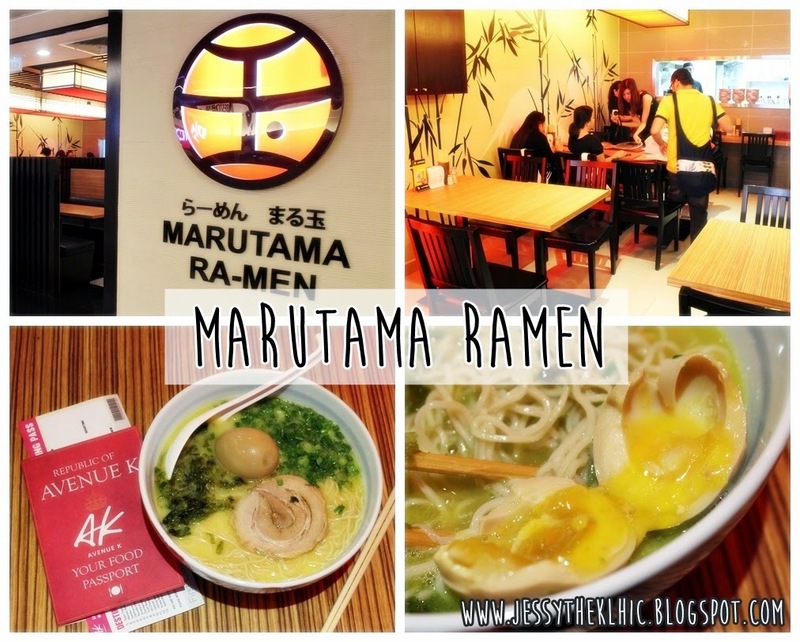 Marutama Ramen is a non halal Japanese Restaurant. So for all those who loves PORK. This place have an amazing Ajitsuke Tamago Ramen (RM 22.50). The ramen has a chicken based soup and is filled with a slice of roasted pork, seaweed, spring onion and "season egg". The boiled egg yolk was running, heaven to all who loves egg yolk. You can choose whether you would like your ramen spicy or non spicy. Overall, the ramen noodles was incredibly fresh but the soup was a little too salty for me. The other bloggers loved it tho. So if you love pork and super tasty ramen, then this is a ramen heaven for you. 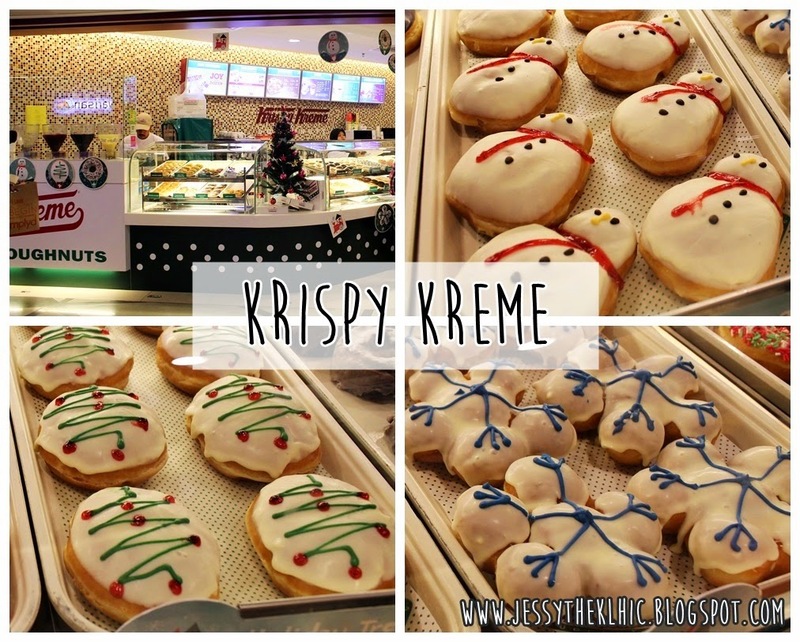 Can you believe that I never actually went to Espressolab before this food adventure? 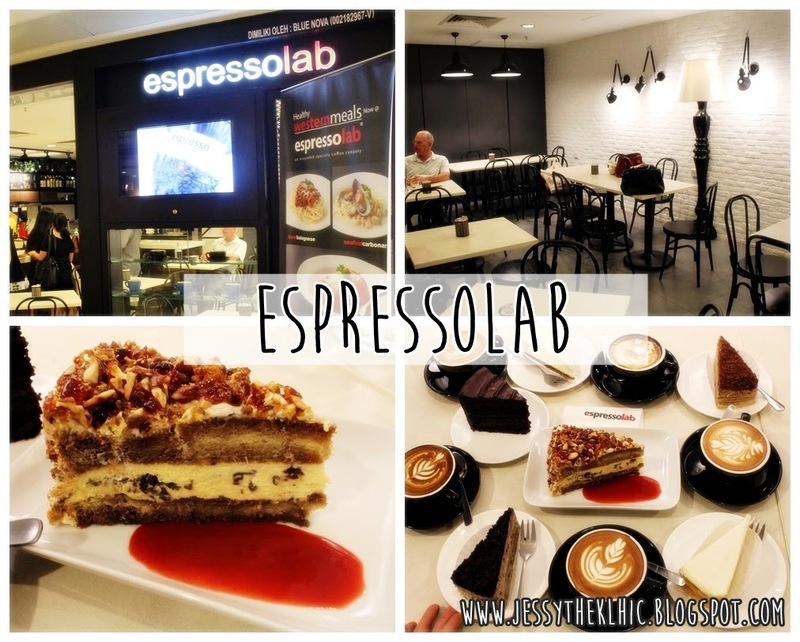 Espressolab has an impressive variety of cakes and drinks. I love the fact that there were so many power point and availability of fast free wifi :) Perfect spot to chill or to finish an assignment while in the mall. Besides that, their wall decorations are truly #OOTD background material. Love the classic monochrome wall that they have. You have to try their Tiramisu Cake (RM 14). At one look I thought it was carrot cake because the Tiramisu cake was covered in nuts and served with a side of berry sauce <3 Really, it ought to be the best Tiramisu cake I have ever had! This place ought to be the most memorable restaurant for me. 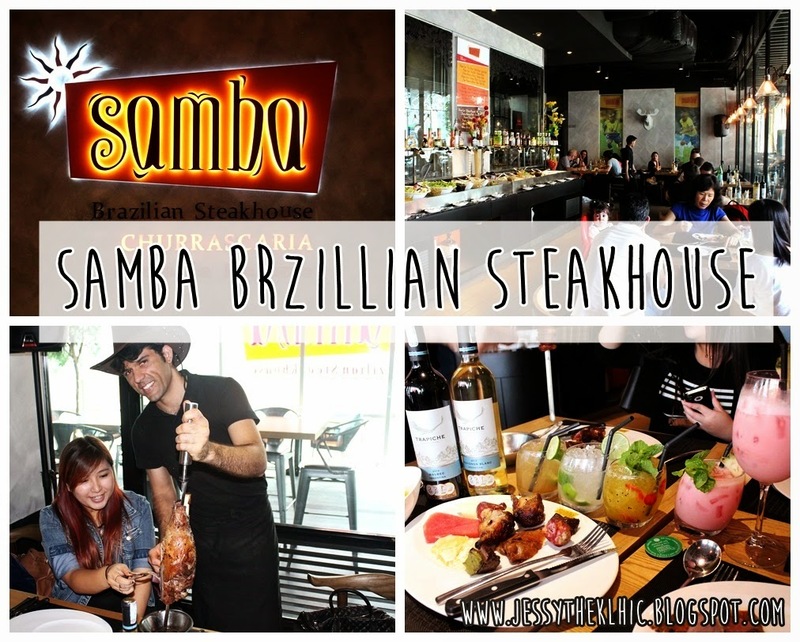 Samba Brazillian Steakhouse serves a meaty and seafood grilled Buffet. They have lamb, chicken, beef, fish, prawns, squid and many more. I love how the waiters would come to you with their meat pole and literally cut the meat from the pole to your plate. The waiters would come to your table in every 10 minutes. If you feel like you need a break from the meat services, then you can tell them to stop with your "chip". Every customer is given a chip that have two sides on it to display to the waiters if you would want more meat or not. It was a different experience. Besides that they have an amazing range of mocktails and cocktails. I got to try everyone of them from the menu. hehe. Make sure to order the Samba Fruit Mixx (RM 25), in the drink there is vodka, strawberry, pineapple, orange and condensed milk. It was heaven for me. Taking a break from food, we got to enjoy the beautiful pink Christmas decorations in Avenue K. The mall was decorated with magical pink Christmas tree, a dashing cool Santa Claus with sunglasses on a Mini Cooper with huge presents surrounding it. Everyone wanted a picture because it was a twist of unique modern decoration with all things pink. Avenue K also launched their "Santa's Party" Performance with a line of dancing Santa-rinas. Joy Victor also gave a spectacular performance with her singer her soul out for the Christmas cheer. Shopper all enjoyed the performance in awe and the mall was filled with the festive cheer. 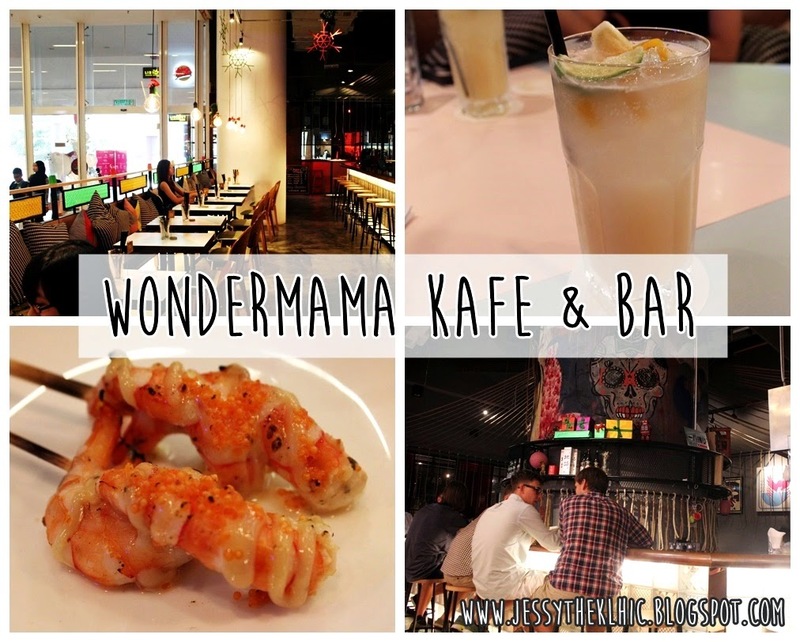 Wondermama Kafe & Bar was themed with a modern Japanese setting. From the menu to the restauarant, it had a very japanese style to it. 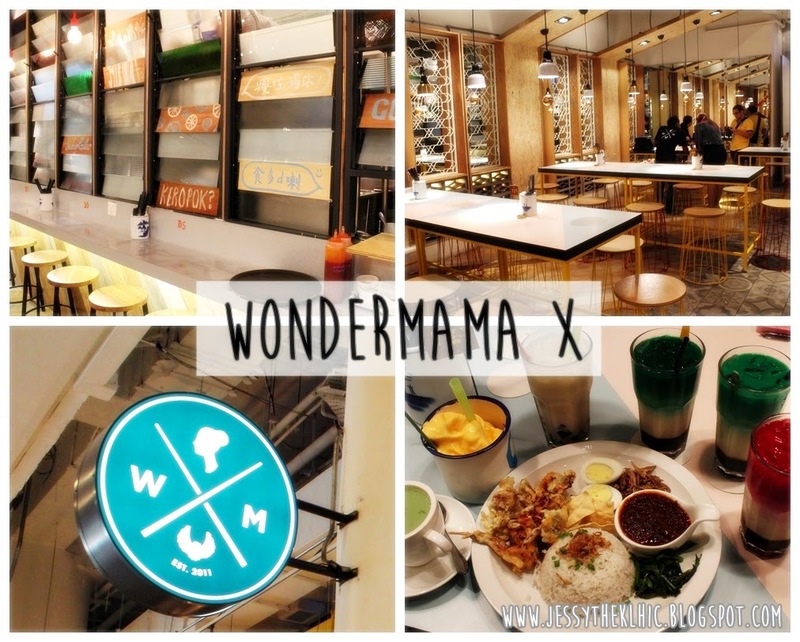 FYI, Wondermama Kafe & Bar is link together with Wondermama X. So you could ask for two menus while you are at either one of the restaurant. I love their Chu Hi with Yakult - Peach Flavour (RM 16), it's sort of like a cocktail with yakult. So if you can't take alcohol, don't take it. haha. Oh! Do try their Yaki Tori - Prawns with Garlic Sauce (RM 14), its prawns on a stick. Good snack combination for drinks with your friends. 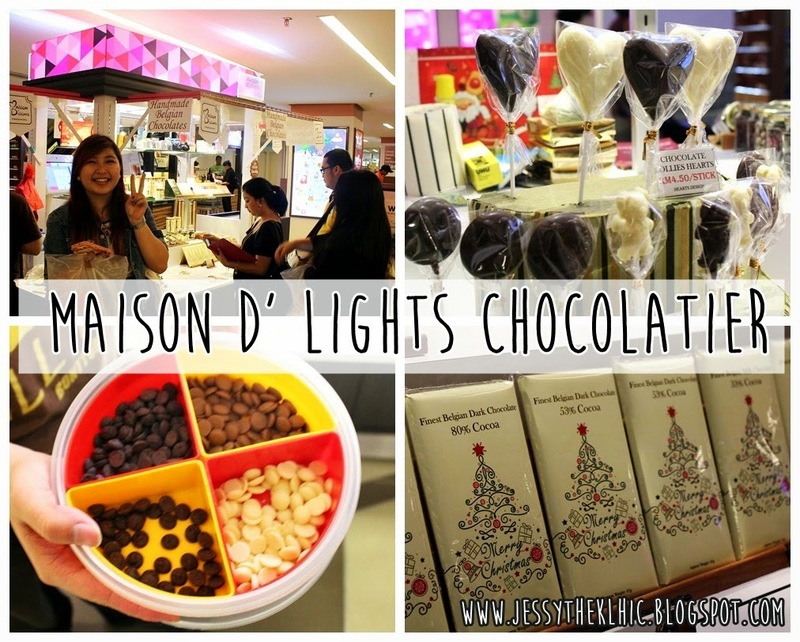 Maison D’ Lights Chocolatier is a push cart with homemade chocolates! They have all types of chocolates which are Extra Bitter Dark Chocolate Ganache (70% cocoa), Dark Chocolate Ganache (53% cocoa), Milk Chocolate Ganache (33% cocoa) & White Chocolate Ganache (28% cocoa). The pricing range from RM 4.50 - RM 11.50. They have chocolates in all shapes and sizes, even in heart shapes!. I got myself one bar of Milk Chocolate Ganache! <3 It's matches perfectly to suit my chocolate desire. 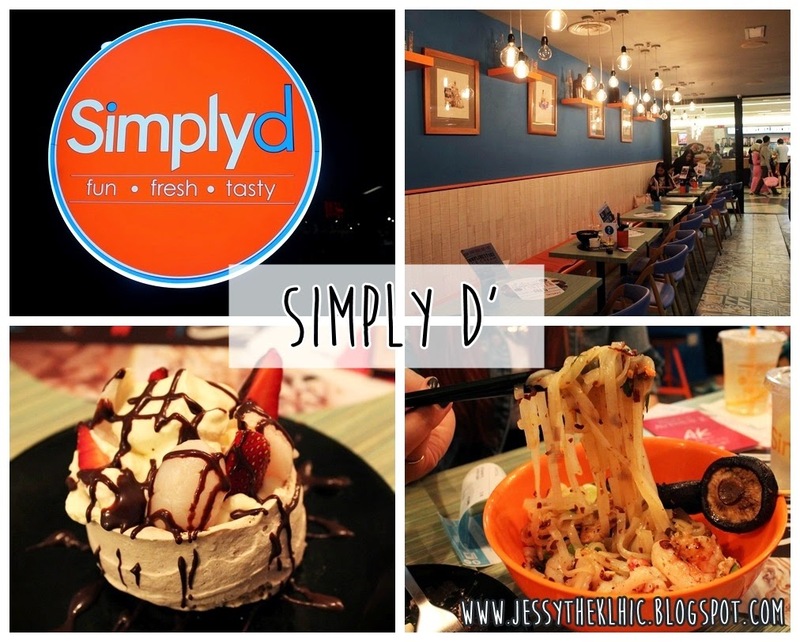 Simply 'D is the daughter restaurant of Delicious. 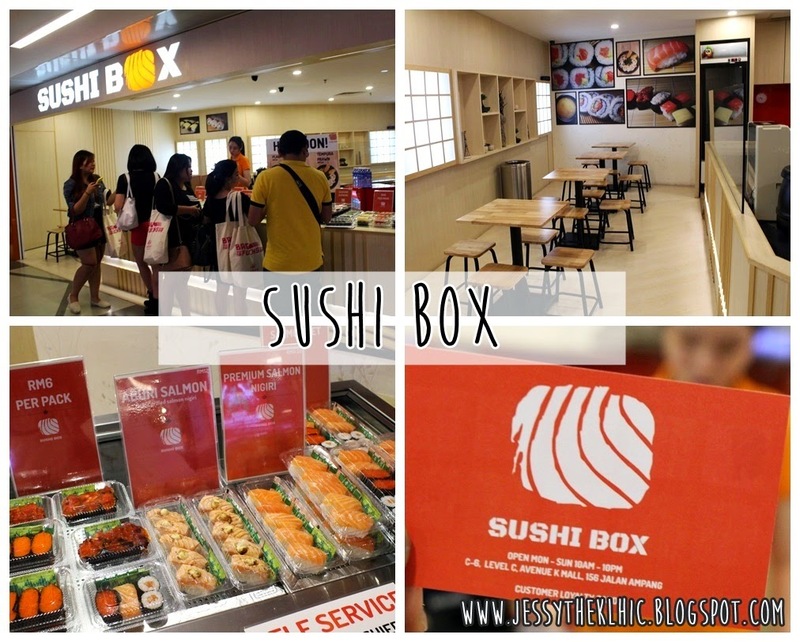 They have an incredible range of sweet desserts and asian fusion dishes. I was so happy when I saw their Strawberry and Chocolate Pavlova (RM 9) and Phad Thai (RM 15). I know it was a weird combination but it was so delicious. I always thought that no one could beat my aunt's homemade Pavlova but Simply D' proved me wrong. Of all of the Pavlovas I ever tasted, theirs ought to be the best. The taste of the Pavlova was just right and I wanted more after I finish it. It wasn't so sweet, but just right. I love their vibrant colours and their array of lights, The place made me want to stay there forever. This Japanese restaurant has a rather unique zen mystifying ambiance. 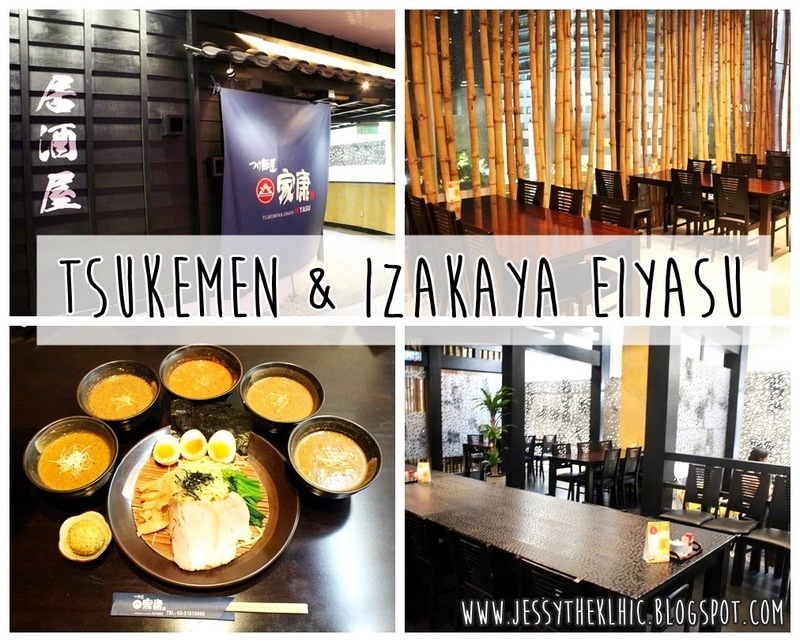 Tsukemen & Izakaya Eiyasu Restaurant signature dish is Tsukemen Dipping Noodles with 5 assorted sauces (RM 23 - RM 25). The sauces are Japanese Curry, Miso, Sesame, Tomato and Soy. My favorite was the Sesame Sauce. So the sauces is actually the noodle's soup based. It was rather an interesting meal as I never had the opportunity to enjoy my noodles with a variety of 5 sauces. FYI their dipping noodles dish can be shared with 2 people. It was a rather large portion. I will definitely return again with my friends for this amazing homemade dipping noodles dish. Thinking of having some snacks during tea time? 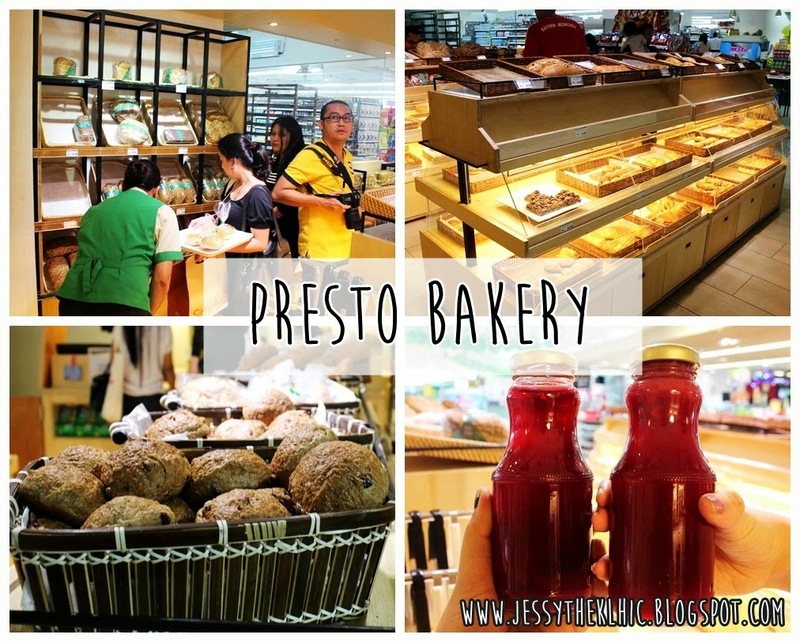 Need to get your pastries fix. 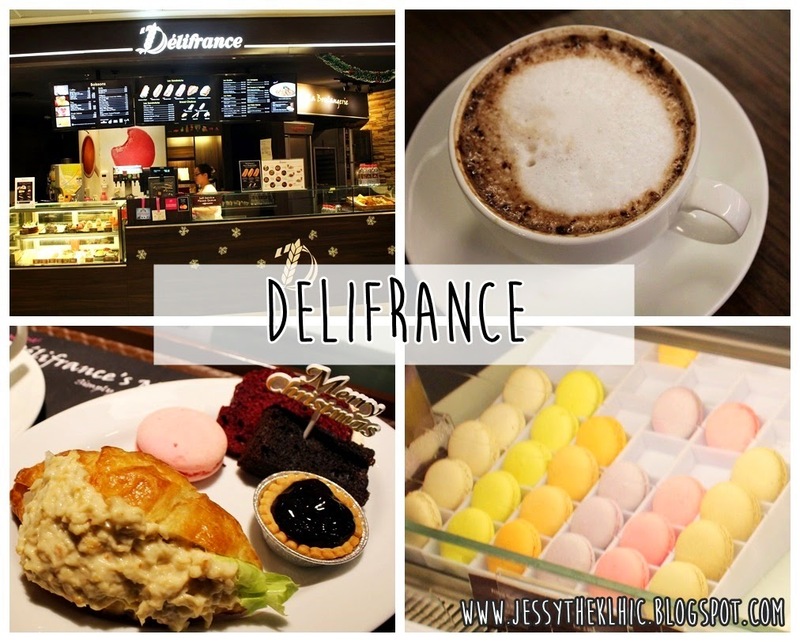 Delifrance have a variety of sweet and savory delights. Their array of rainbow macaroons are to die for. And of course their signature croissant is a must have! The last store for the Food Adventure. 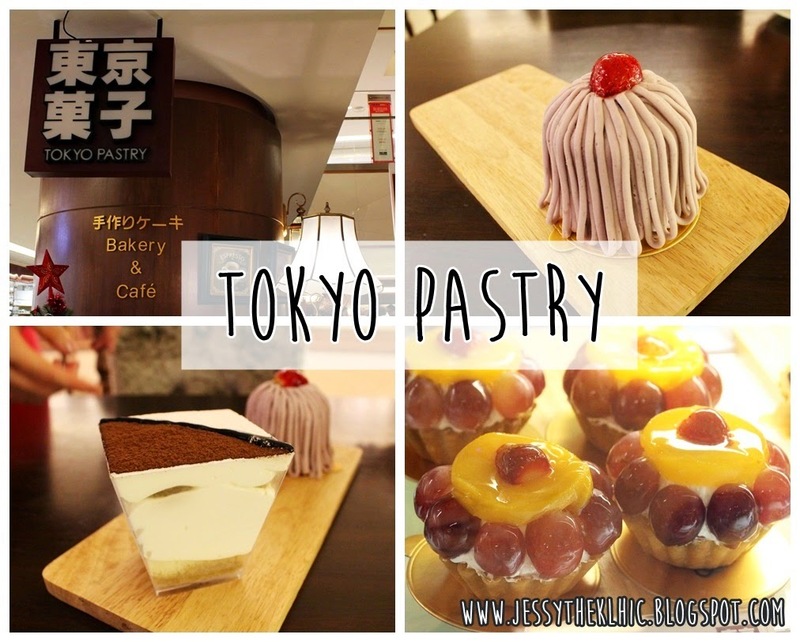 Tokyo Pastry at one look have a chic vintage setting. It was widely decorated with lots of antiques and leather like chairs. I love their custard fruit tart. It was divine. Can imagine people of all ages coming to this cafe to just chill and enjoy the sweet desserts. So that my entire AK FOOD ADVENTURE. It was definitely an exciting experience! Though I didn't try all 20 eateries, 14 was my limit. 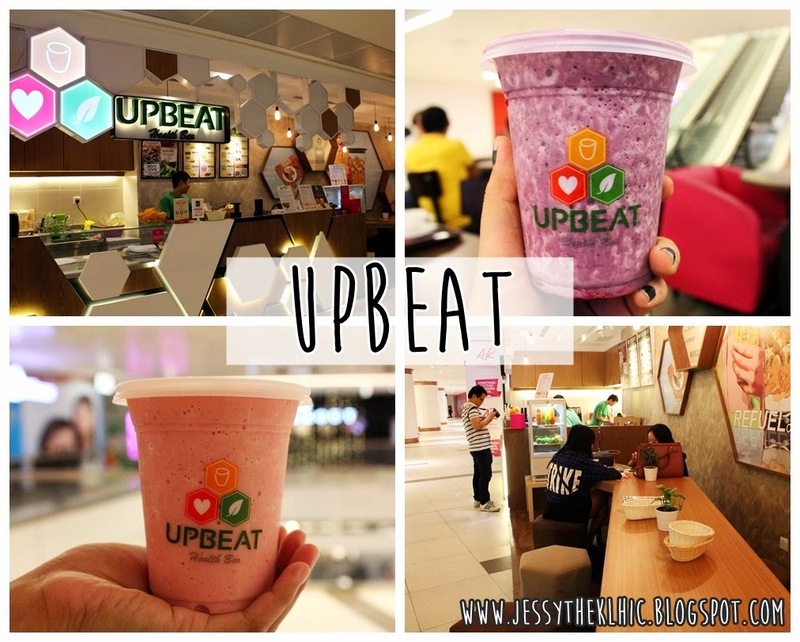 Hope this helps you all who are looking for good food while in Avenue K! :D Remember order all of the things I recommend. haha. go to their Facebook Page or Website.